i am obsessed with shoes. i am particularly obsessed with these wedding shoes. of course i had to wear pumps on my wedding day, because i am 11 inches shorter than my man. but i do love flats with all my lil heart. i love vintage broaches. i love lace. i love ruched leather. they couldn't be any more heavenly. i know, i use the word "obsessed" lightly. it gets the point across when i'm excited about something. these shoes are unreal. 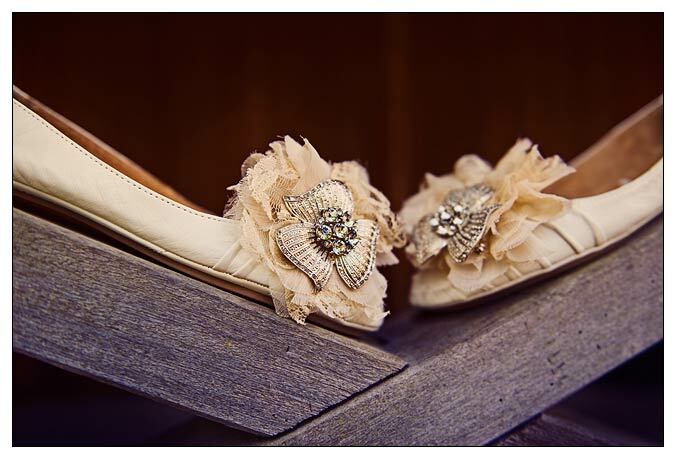 probably the best flats i've ever seen, especially for a bridal shoe.